Share the love in your library this February! Of course, this month is known for Valentine’s Day, but there are so many more things to do in February, such as celebrate Library Lovers Month, Black History Month, Random Acts of Kindness Week, Presidents’ Day and more. 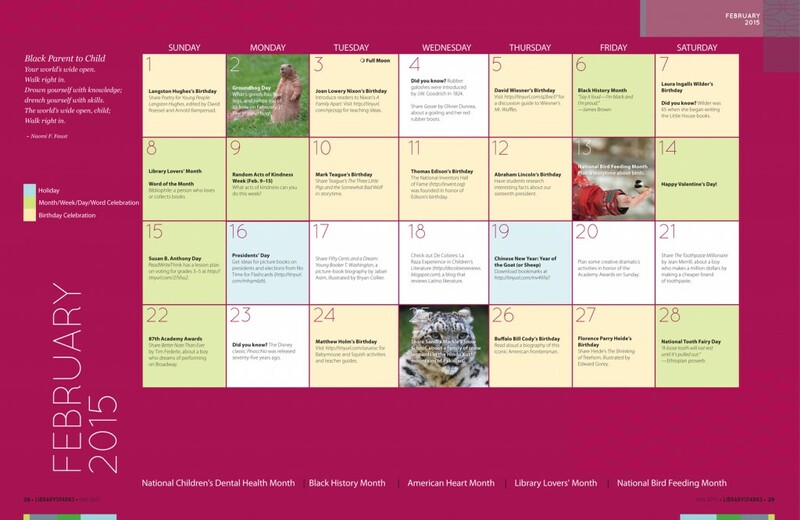 Check out children’s activities and book suggestions for these and other February celebrations in this month’s activity calendar.